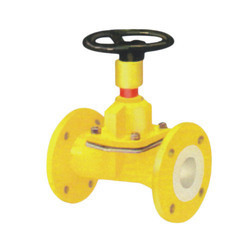 Pioneers in the industry, we offer pp lined diaphragm valve, pp lined butterfly valve, pp sight glass, pp damper butterfly valve, pp diaphragm valve and pp foot valve from India. PP Lined Diaphragm Valve is ideally suited for Shut-Off, Flow Control and Throttling of Corrosive and abrasive process media in either liquid or gaseous state. 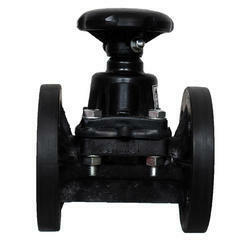 Diaphragm Valves are available as DIN or ANSI Valves, with handwheel for manual operation or with Pneumatic actuator. 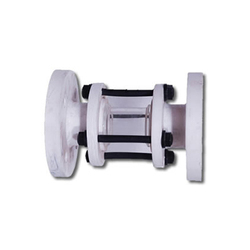 The sturdy design bodies are made of SGI, Cast steel (WCB) or Stainless steel casting with resistant linings such as FEP/PFA/PVDF. Proven PTFE/EPDM diaphragms assure faultless closing function at any time. Heavy duty, robust construction, maintenance free. Yellow sight indicator showing actual position of the diaphragm. Easy replacement of components on site. Nirmala's FEP/PFA PP Lined Butterfly Valves have a continuous disc/shaft lining and a body lining that extends well beyond the secondary seal area. 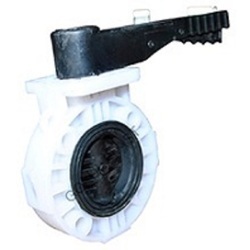 Our offered valves are intricately designed under the vigilance of skilled professionals using quality tested raw material and sophisticated technology in line with the international quality standards. Three - piece design, sturdy construction. With full view various elastomers or PTFE seals to aggressive chemicals. Available in Screwed end connections also. 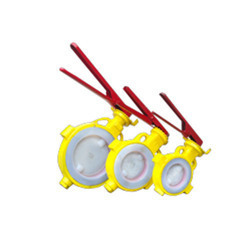 Size 2" to 12 "
Port Size 2" to 12"
We are manufacturer for PP damper valve. 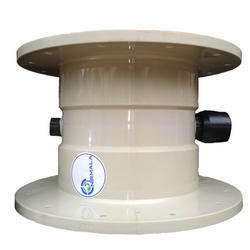 Latest inverted design diaphragm remains unstressed while valve is in closed position give more service life. 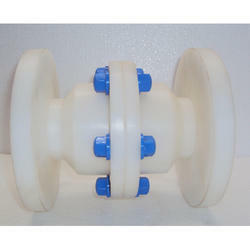 Available with Neoprene, EPDM, Hyplon, Butyl, Viton, Viton, Teflon-Coated and pure PTFE Diaphragms. Free Floating Ball Allows maximum flow through valve. The only moving part is the ball, so maintenance is reduced/nil. 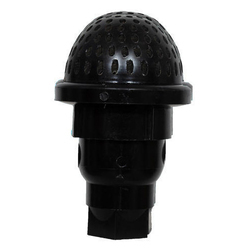 The solid polypropylene/PVDF ball seated on elastomers seat gives no chance for leakage. Ball fully supported by guide ribs for full flow and maximum turbulence. Available with various elastomers seats like Neoprene, Hypalon, EPDM, and Viton for compatibility with different chemicals. Tight shut-off achieved at a minimum of 1 Meter water column. Valves are of three piece design, fitted with six set of metallic studs and nuts which contributes to their sturdy construction. Valves have full bore; thereby, allowing full 100% flow. Body and Stem seals are offered in various elastomers like EPDM, Neoprene, Hyplon, Butyl, and Viton and also in PTFE for chemical resistance against most chemicals. 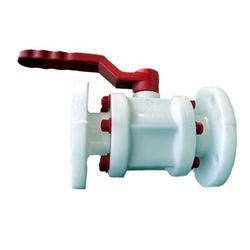 Valves with PTFE seals are provided with steel ring inserts which gives better sealing and safety features. Steel inserts in stem and handle give more strength, sturdiness, longer life and better performance. Carbon black resists ultraviolet rays and prevents degradation of polypropylene in sunlight exposure. Hydrostatic Test At 10 kg/Sq.cm.g for Body and Seat. Available with various elastomers seats like Neoprene, Hyplon, EPDM, Viton for compatibility with different chemicals. Tight shut-off achieved at a minimum of 1 Meter water.